I enjoyed the first book in this series but sadly this was a different narrator who hadn’t researched the series as a whole and so some of the voices were wrong (too upper or lower class) and the narrator obviously hadn’t read the first book. The narrator also had some odd inflections from time to time which was distracting. It’s a shame as the story was good and I shall plough through the remainder of the series despite the reader. In a gorgeous quay-side hotel in Cornwall, the long weekend is just beginning...Claire Marlowe owns 'The Townhouse by the Sea' with Luca, the hotel's charismatic chef. She ensures everything runs smoothly - until an unexpected arrival checks in and turns her whole world upside down.And the rest of the guests arrive with their own baggage. There's a couple looking for distraction from a family tragedy; a man trying to make amends for an affair he bitterly regrets...and the young woman who thinks the Cornish village might hold the key to her past. Solid escapism, nothing groudbreaking but fun. Would you try another book written by Veronica Henry or narrated by Anna Bentinck? 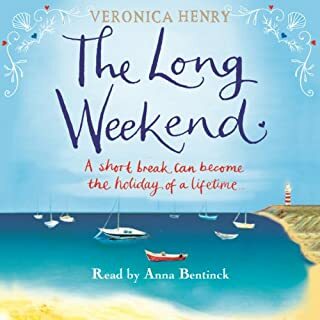 I might, but this is the second book I've heard Anna Bentinck narrate and she seems to have only a handful of character voices so each book contains the same voices which aren't always well matched to the characters. If you’ve listened to books by Veronica Henry before, how does this one compare? This is the first Veronica Henry book I've listened to. A better understanding of the characters by the narrator. It wasn't awful, just a little wet. Was The Long Weekend worth the listening time? In the end it was, it took me a while to separate all the characters and to care sufficiently about their lives but once I did, I wanted to know the outcome. This is a perfectly pleasant book, it didn't move me, it's not particularly original and I didn't learn much but it was an easy listen and I enjoyed the escapism. Jennifer Saunders seemed reluctant to reveal too much about herself and glossed over much of her life. It was more a series of anecdotes, which is fine but I don't feel I know her any better after listening to this. 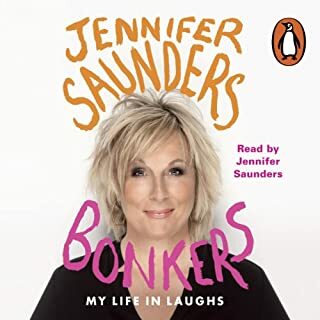 If you’ve listened to books by Jennifer Saunders before, how does this one compare? It is the first I've listened to. Which character – as performed by Jennifer Saunders – was your favourite? The character voices (particularly Joanna Lumley) were excellent as expected. Autobiographies are always enhanced read by the author. Did Bonkers inspire you to do anything? Good, but not one of Picoult's best. Would you try another book written by Jodi Picoult or narrated by Alyssa Bresnahan? I have listened to a lot of Jodi Picoult's books and this is easily the most disappointing. It wouldn't put me off listening to more books by her though, as I know she can and does do better. I'm going to try 'The Storyteller' next as it has excellent reviews. What does Alyssa Bresnahan bring to the story that you wouldn’t experience if you had only read the book? This is not representative of Picoult's work so don't let it put you off her as an author if it's your first experience of her. The plot is confused, the two storylines don't mix well and it's hard to like or care about any of the characters. I did listen to the whole thing but was glad when it was finished. Usually I think about Picoult's books long after I've finished them, this one, I was happy to leave behind. Sadie Smith would love to do the things that other children can, but a degenerated hip prevents her from walking. On her way to a Dr Barnardo's home, her mother buys her a pair of scarlet ribbons which bring Sadie solace in the difficult years ahead. 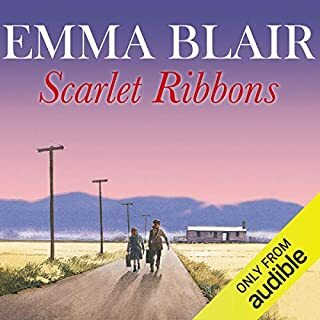 Would you consider the audio edition of Scarlet Ribbons to be better than the print version? Would you be willing to try another book from Emma Blair? Why or why not? 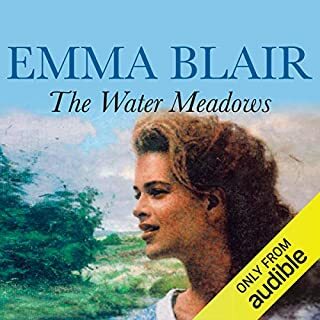 I would try another Emma Blair book, I like the saga and that we stay with the characters for a long time throughout their lives. It's an easy listen, there isn't anything challenging here and there is an element of predictability about the plot, but I enjoyed the ride. It was interesting to learn a bit about Dr Barnados and the plight of young children. I enjoyed it very much, nothing to complain about. Eve Karpf's narration was excellent. She managed to change Sadie's accent so subtly throughout that you barely noticed her change from Scottish to Canadian, but by the end of the book she was transformed. London, 1939: Eighteen-year-old Mari is defiant, strong-willed and selfish. She has craved independence her entire life and now, with the World on the brink of war, Mari has finally escaped the sleepy fishing village of her childhood in New Zealand. After passionately falling for Morgan, the cockney steward aboard ship on her voyage to England, she hastily dismisses him in favour of being taken out by handsome young pilots in the glamorous West end. But, without warning, the Blitz blows her new life apart. Now Mari has the chance to make a difference but can she learn from her mistakes in time? It's a good story which follows on from others although knowledge of the previous books isn't necessary. Lots of historical background and brings the war to the life of the ordinary. A touching saga that spans the world. The reader gets to fully immerse themselves in the characters and over a long period of time. What three words best describe Alison Dowling’s performance? One woman's battle, one world's war. 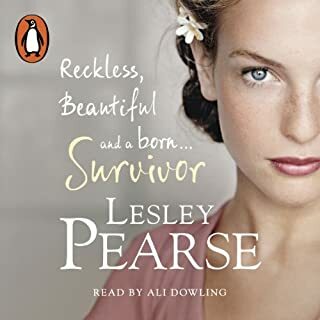 Lesley Pearse thrives in historical drama, her last book (Forgive Me), was contemporary and weaker than her epic history novels. I very much enjoyed this book, it was engaging and the story ticked along nicely. A few 'co-incidences' which weren't altogether plausible didn't ruin the narrative and the journey we take with the main character is interesting both as a book and historically. It's the third in a trilogy, but don't be put off if you've not read the others, this book stands alone perfectly well. I'm not keen on the narrator but as the book is so good, it wasn't distracting. Narrator Hand Picked By Tartt- Outstanding! 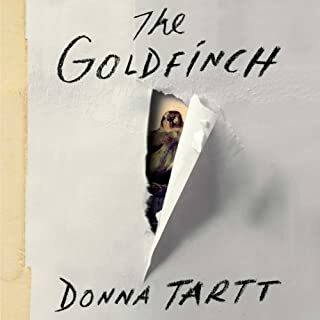 What made the experience of listening to The Goldfinch the most enjoyable? The narrator was sublime. His representation of each character was incredible, it was as if each one was in the room by simply hearing their 'voice'. The story was engaging and spanned many years so you felt you really knew the characters well. What about David Pittu’s performance did you like? His ability to adopt so many characters effectively, without it sounding forced. Male, female, old and young, all utterly convincing. The best audiobook narration I've ever heard. The relationship between Theo & Boris was complicated but very moving. A great book but a little self-congratulatory, especially at the end. I would have preferred to hear more about the fate of each character than the long philosophical monologue. However, a clever plot that seldom dragged and brought to life excellently by David Pittu. It is May 1926. Glasgow is crippled by the General Strike and the future looks bleak for John Forsyth. Made redundant from his factory job and with no prospect of employment, he and his family only hold together through the determination of his ambitious wife, Madge. Even though this means a dramatic move to the farthest reaches of England - to Devon.As the family begin a new life in the village of Atherton, their fortunes change. Once it got going, was very engaging. What did you like most about The Water Meadows? I liked that the story was spread over such a long period of time, you really got to know a lot about the characters lives, rather than just a snapshot. What other book might you compare The Water Meadows to, and why? It reminds me of the Lesley Pearce Sagas (although not as good). Which character – as performed by Eve Karpf – was your favourite? Carensa, she seemed to be truest and best represented by the Narrator. The different accents were attempted with conviction so that each character had their own 'voice'. The book didn't emotionally affect me, it felt like fiction, at no point did I believe the characters actually might have existed, however, I enjoyed the easy escapism. At first I wasn't sure about this book, however, once the family had moved, it became much more engaging. The book wasn't particularly 'blockbusting' but it trotted along and maintained interest and I found I cared more and more about the characters as the book went on. 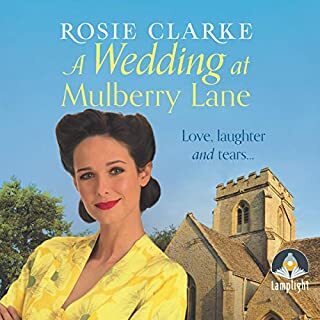 The quantity of affairs was quite amusing, and the sympathy on the characters who had them but it was a good easy read with an unchallenging plot that I enjoyed. June's first husband was killed in a car crash. Against all the odds, her daughter was uninjured and, in another miracle, June found love again with the policeman who rescued them. But now June's second daughter is dying without the new heart she so urgently needs. 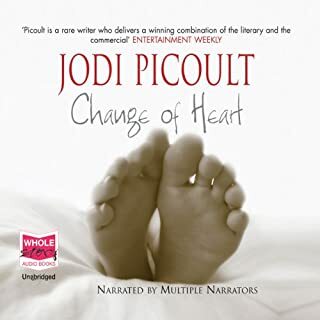 Where does Change of Heart rank among all the audiobooks you’ve listened to so far? I would say it lies in the top third. I liked the twists and turns in the story, the fact it is told from different viewpoints and that it makes you think about issues. Which character – as performed by the narrator – was your favourite? Father Michael was probably my favourite as he seemed the most human. It made me think and contemplate how I'd react in various situations. Sadly, the English accent attempts by two of the narrators were terrible and a little distracting as a consequence. However, it didn't hamper my enjoyment too much.